FRSO teach-in at Occupy MN: why capitalism does not work for the 99% | Fight Back! 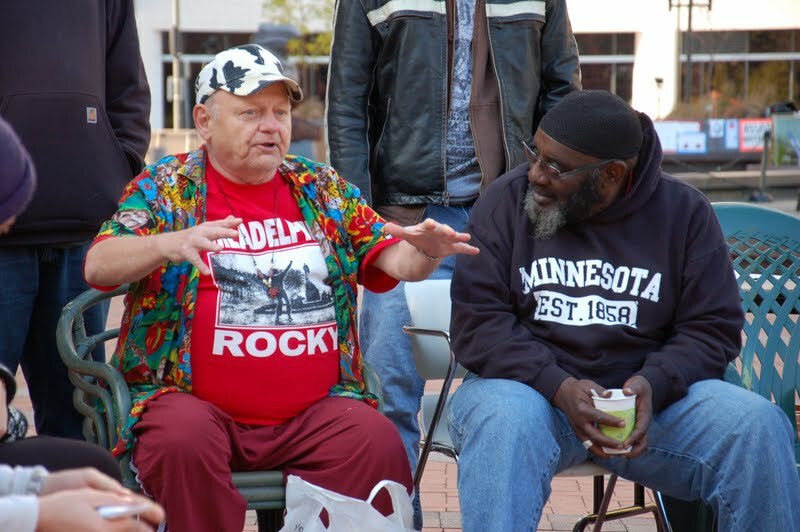 Minneapolis, MN – Following a march on the banks here, October 29, more than 40 people attended a teach-in organized by Freedom Road Socialist Organization. Entitled, “How capitalism works, and why it doesn’t work for the 99%,” the event brought together activists for a serious discussion on what is wrong with the capitalist system. Jess Sundin, who helped facilitate the teach-in, lead a discussion about exploitation and monopoly capitalism. She stated that robbery, exploitation, and oppression are built in features of capitalism and that no amount of reforms would change that.